One of the things I love about tatting is how inexpensive it is. Unlike quilting, where there is always a new ruler to buy, or a cutting device you didn’t know you needed, or some fabric you can’t live without, in tatting there is comparatively little to buy. Sure, you can stock up on threads or pattern books, or splurge on fancy antique shuttles, but even the most spendthrift tatters soon find that, compared to most crafts, there just isn’t that much to buy. 2 Shuttles, preferably different colors or styles, so you can tell them apart. A note on choosing shuttles: There are many shuttles available, with a few different features. Some shuttles have hooks on them or bobbins in the middle, but these are a bit more difficult to work with. For beginners I suggest Clover or Boye’s basic plastic shuttles, which are sold in packs of two for around $5. You can also make your own interim shuttles from cardboard, a plastic yogurt lid, or similar with this handy, downloadable template. Make 2 Shuttles in 2 Minutes for 2 Cents. 2 Balls of “crochet cotton” thread, size 10 or 20. To see your knots transfer, pick any 2 different colors of the same brand and size, though I’d avoid black as it blends into itself, making it difficult to see individual stitches. I prefer DMC Cebelia or Lizbeth brands for their smooth texture. A note on choosing threads: Tatting uses “crochet cottons,” which are basically really thin yarn. Sizes are numbered by tens from 10 to 80, with the larger numbers being thinner thread. Size 80 is tiny (not much thicker than sewing thread) and is called “tatting thread.” Sizes 10 or 20 are good sizes to learn with as you can see your work more easily. Balls of thread run around $4 to $6 each. 1 Pair of small scissors. For cutting thread. 1 Very small crochet hook, size 10 or close (unnecessary if your shuttle has a hook built-in). Note: “very small” refers to the hook size, not the length of the handle. There are tatting crochet hooks that have very short handles, and these are handy for hanging on a chatelaine, but standard length crochet hooks work just as well. Either should cost around $3. 1 Seam ripper, tapestry needle, or similar. Optional, but handy for picking out stitches. $1 to $2. Assuming you have a pair of scissors lying around, the rest should cost you about $20. That’s not a big investment to try out a new craft. If you want to get a book too, I recommended “The Complete Book of Tatting” by Rebecca Jones. It is simple and clear and covers a lot of topics so will be a good resource even after you master the basics. “That’s not too bad,” you exclaim happily, “but where do I get all that?” Never fear, fledgling tatter. There are ways. So, grasshopper, are you ready to go shopping? With a few basics, all of which you can hold in one hand, you can tat your brains out. But please don’t. 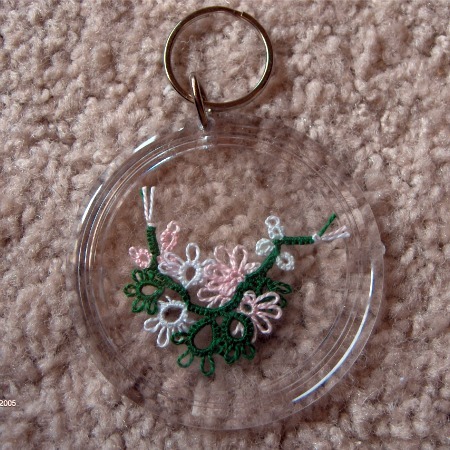 This post is part of a series of Absolute Beginner Tatting Lessons. Go back to the previous lesson, How to Make the Double Stitch for Lefties, or jump ahead to the next lesson, How to Tat a Ring. Spoiler Alert: my first giveaway will be early next week, so check back! I use a tapestry needle to pick out mistakes. I did buy a vise style bobbin lace pricker to make it easier to hold (and find!). I simply took out the pricking needle and replaced it with a tapestry needle. It works great. I would be afraid of cutting my thread with the seam ripper, but I guess it’s all a matter of personal preference! Your tutorials are great! I look forward to seeing more! This is a very good topic, and lots of good tips! Another item I’d include is a pair of tweezers in the toolkit, to help pull the rings open. I highly recommend a fabulous ‘beginner’s’ book which INCLUDES an EXCELLENT DVD, by Janette Baker. It is available on the internet as well as at some Jo-Ann Fabric Stores (only $15). It covers many aspects of tatting, and also includes advanced techniques, in addition to many lovely patterns. The book achieved a MAJOR breakthrough in teaching tatting in that Janette begins with making the knots on the CHAIN (and using two colors) rather than starting with the ring. I have always advocated this method (once I figured it out myself, AFTER I finally learned to tat and started demonstrating with our group 20 years ago). This method is now gaining more acceptance. Another tip I like to give is that crocheters may find it easier to hold their forefinger up, rather than the middle finger. When I figured this out (again on my own) I was finally able to tat with comfort and confidence! Thank you for the list of supplies now I can go shopping! Oh, my favorite part…..the hunting and gathering! 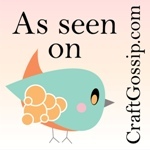 Diane and Kathy, I love hearing about different tatter’s methods and preferences. I like the tapestry needle idea, though I’ve never cut a thread with the seam ripper. I’m afraid that if I’m pushing hard enough that it slips and cuts the thread, that I’ll most likely puncture a finger, and I really don’t want to do that! I’ll have to try using tweezers to open rings. Thanks for the tip! Another handy tatting tool is actually a knitting tool. Sold by Patternworks as a “Dentist tool” (probably available other places) On on end is a hook (too big to use with tatting) on the other is a handy dandy pick. Not sharp enough to gouge fingers, but fantastic for opening those stitches to pick them out. It’s much better than trying to use a crochet hook and less likely to shred your thread. A seam ripper??? I shudder to think of the damage I’d do to my tatting threads. 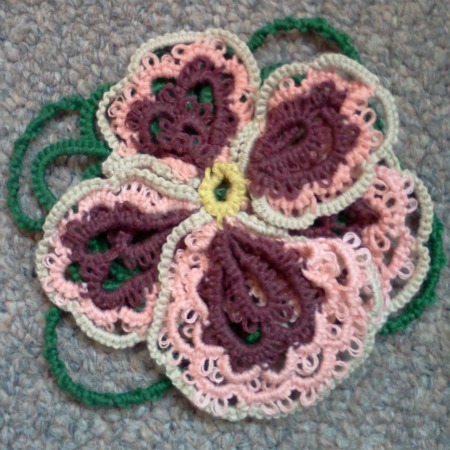 I make items of tatting, smocking, and Irish crochet. Contact me for help if you need. I would add a pair of nail clippers to the list too – safer for cutting ends than a pair of scissors!!! Also I’d add any and all of Mary Konior’s books to the list too. May I join your list. I am relearning tatting. I love it all over again. I enjoy this blog. Keep up your good work. I just found your site, via your leftie YouTube video… I love the shopping list… I”m afraid of seam rippers too! When I first started tatting, I used a seam ripper, as that’s what it recommended in Rebecca Jones’ book. Oh my goodness at the bloody fingers & frayed/cut thread! After that, I used a crochet hook for a while. Eh. Now I use a tapestry needle for both sewing in ends & picking out stitches (when my shuttle pick won’t work). I haven’t looked back since! Randa, welcome. I’ve never had any problems with using a seam ripper, but could see how. I’ve used a crochet hook too when that was more handy. Randa, the armor would prevent poked fingers. 😉 glad you found something that works for you. I have a couple of extra items in my tatting tool kit. My little bag with them and my tatting is always in my purse. 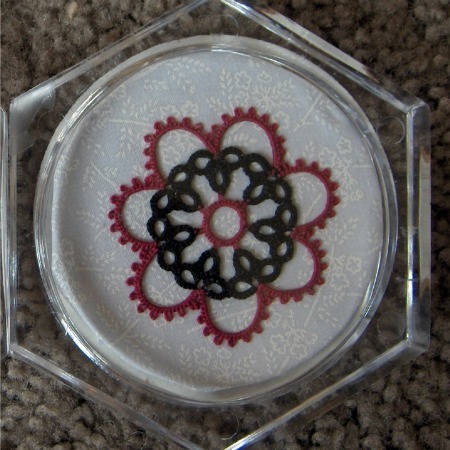 First is the Tatting Shuttle Winder by Lacis – really can’t live without that one. Another is the ring and necklace pendant that has three mini crochet hooks. Additionally, I use a good cuticle scissors or a curved blade scissors could also be used for cutting. Works much better for me than the straight blade scissors. Hope this helps somebody out. to dream looking at the beautiful work that has been done via the computer. your idea for the kit is a great idea. There are a lot of good, free patterns online, too. I think the trick with using a seam ripper is to remember the “back” of the ripper is rounded and dull, so as long as you “push” with this part, or hook with this part you’ll be fine. I’ve used them many many times to tease out knotting quilting or sewing thread and never frayed or cut a thread. I only seem to rip holes or cut anything when actually using it as an actual seam ripper. I personally much prefer antique shuttles, they seem better made, better weighted, and just so much prettier, but then I love using old things. I love the worn spots and knowing I am “walking” in someone else’s footsteps, making the same motions thinking the same thoughts. I think the most I’ve paid for one is $10. I certainly wouldn’t tell someone to start with them (why invest on something you don’t know you can do? ), but once mastered it’s so worth it. I love your website!! It has been extremely helpful as I am trying to tech myself this wonderful art. Do you recommend the use of a picot gauge? I’m finding my picots are a variety of sizes–do you have lesson or video showing how to use a gauge? I don’t use a picot gauge, and find them more trouble than they are worth. When you practice for a while, you will get pretty decent at keeping them consistent. If you really want to keep it consistent, it is easiest to measure against the side of your finger. I make items of tatting, smocking, and Irish crochet. If I tat fast enough, maybe I can finish before I run out of thread! Starlight in my eyes. I've been tatting here all day. Hands are going numb. There once was a tatter who said: "Oh gosh, I'm running out of thread. Come what may, I must finish, Make picots a bit thinnish, Then it may just stretch to the end."